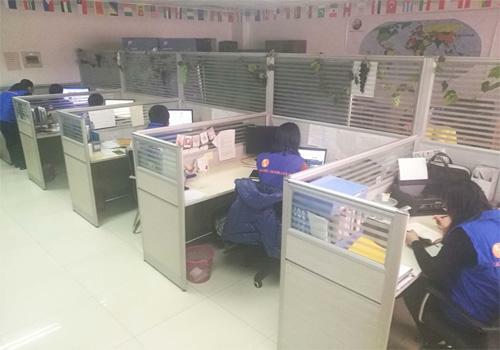 Hanjiu Technology, as a professional manufacturer of hydraulic products, started from 2010, is the first plant to produce and export hydraulic orbital motors, steering units in North of China, annual production over 500,000pcs. 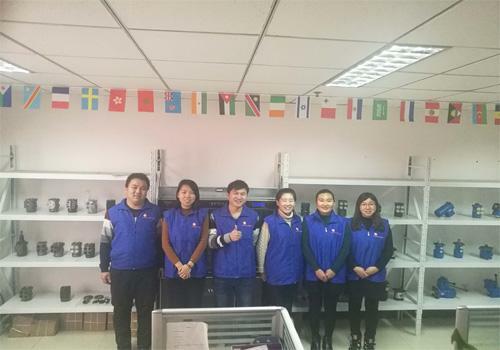 Hanjiu Technology Co., Ltd. establishes a branch in Shandong, China, specializing in the manufacture of hydraulic axial variable displacement piston pumps, axial piston quantitative motors, swashplate type fixed displacement piston motors, walking piston motors, and rotary piston motors. Welcome to visit and guide. We service the walking, steering, power transmission and lifting systems. From big to small, our motors (displacement from) 50ml/r to 1000ml/r), steering units (displacement from 80ml/r to 1000ml/r) and cylidners (bore to 1200mm, length to 10000mm, pressure to 40MPa) perfect used on light, medium and heavy duty vehicles. With state of the art workmanship, structure of the motors and steering units are more compact, volume smaller, low noise, and are excellent performed under high pressure working condition, all interchangeable with Danfoss, Char lynn, M+S，Rexroth series, cylinders also customized for clients with superior quality that make us enjoy the trust of our customers and on good standing at home and abroad. The products widely used on Agricultural tractors, Garden Tractors, Dump Trucks, Forklifts, Combine Harvesters, Fishing, Sweepers, Water Tanks, Trailers, Crane, Truck Crane, Excavators, Loaders, Earth Movers, Machine Tool, etc.Hanjiu Hydraulic treats integrity service and product quality as the enterprise's lifeline. 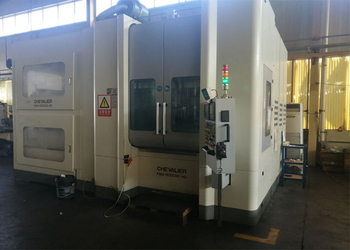 A perfect quality system have been set, from design, processing, production, assembly, testing to after-sale, to make sure each item we sell is in good quality. 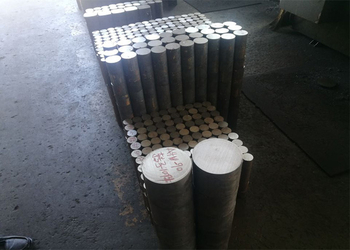 We sell domestic and overseas, market include Southeast Asia, Middle East, South America, North America, North Euro, Africa, India and other countries and regions. We are willing to build a international brand name and make more long-term cooperation in the world hydraulic areas. Early 2000, the company formerly distributed solenoid valve, piston pumps, hydraulic motors, serving Hebei Province in China, a lot of experience and technologies are accumulated. in order to fully expand the scope of services to achieve the strategy of going abroad, in 2009 we developed our own equipment, manufacture plant, and focus on the R&D of manufacturing hydraulic motors and steering units, with the increase of experienced and talented peoples and financial strength, we’ve gain prosperity business development with global partners and customers. Hanjiu Technology Co.,Ltd. 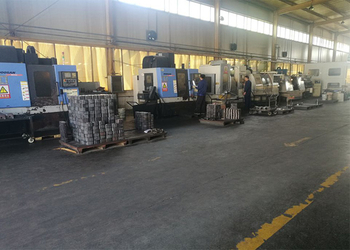 to serve the world's hydraulic distributors, machinery manufacturers, machinery parts distributors. HANJIU hydraulic motors albe to replace Danfoss, Eaton-charlynn, M + S, Parker and other brands. 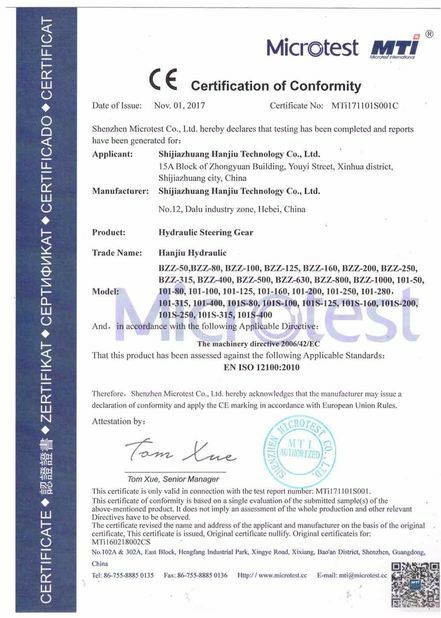 HANJIU steering units can be used for Carter, John Deere, New Holland, Case and other machines, can replace OEM parts of these machines. 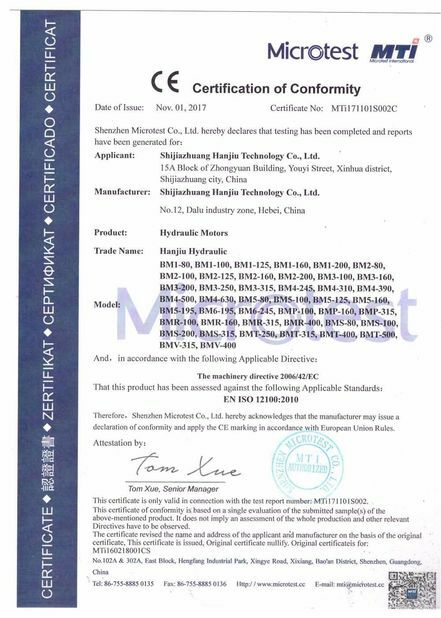 HANJIU hydraulic gear pumps are apply to any agricultural and construction machinery, replace Caproni, Parker and other brands, we also customize gear pumps for global customers, you are welcome to send us your Drawing, Samples or OEM part numbers, we will produce the gear pumps for you.